Steampunk is a rather interesting genre because it involves much more than just history. The first appearance of this steampunk fashion style is hard to date because there are many aspects that influenced it. The actual term steampunk was coined by K.W. Jeter in 1987. During the late eighties early nineties ( before the internet) I was drawn to create timepiece sculpture brooches from old watches I took apart. I sold these on craft markets with the hand drawn calendars. Before Steampunk became the full-blown sub-culture it is today, it started out as a science-fiction sub-genre in the 1970s. Its fundamental inspirations go all the way back to 19th century Victorian writers, such as Jules Verne (author of 20,000 Leagues Under the Sea) and H.G. Wells (author of The Time Machine). Steampunk typically bears strong Victorian influences using materials like wood, glass, leather, copper and brass which are all authentic materials for constructing a futuristic or fantastical Victorian look. Step One: A Steampunk Engagement Party. You both are probably somewhat alternative and love to dress up. You had your engagement party, so your family and friends got to know about your interest in steampunk fashion. You also might feel that if everyone had to dress up for the wedding so that they would feel much more like part of your day, rather than just being onlookers and well-wishers. 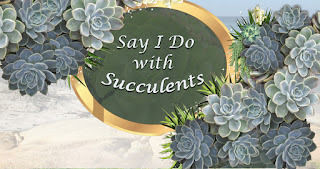 If you have set the date, then you will know what the climate will be if you want to be able to have a ceremony in the garden. Step Two: The date! When to tie the knot is a good start. 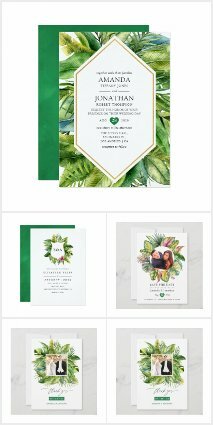 Now that you have the date, sending out and Save the Date card to all your family and friends is the second step. Having Steampunk invitation cards that includes your photo will already set the tone of your coming event. 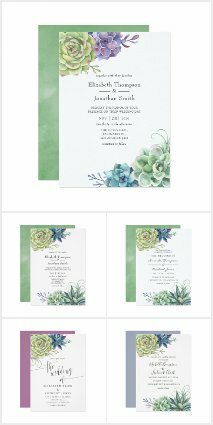 Do your invitation cards reflect the theme of your wedding? 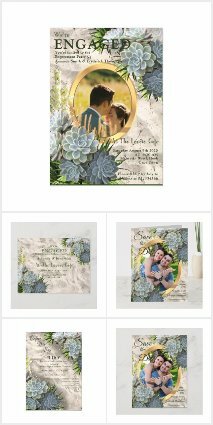 This invitation can be followed by sending a bachelor, bridal and a wedding shower party invitation. Here you might consider asking your guests to dress the part, or at least offer a suggestion for what colors to wear. This way, everyone can participate in your wedding theme. Some couples might be planning their steampunk wedding a year in advance for the planning of the clothes and decor. To have a special creative celebration for family and friends to have an unforgettable day takes time. A stag or hen party followed by a wedding shower party is all possible and a great way to gather some of the decor gifts that can be used during your wedding. TIP: Many couples have already set up a website where ideas of gifts that might include some decor items for the wedding. Links to vintage hire services might also be very helpful for your wedding guests. 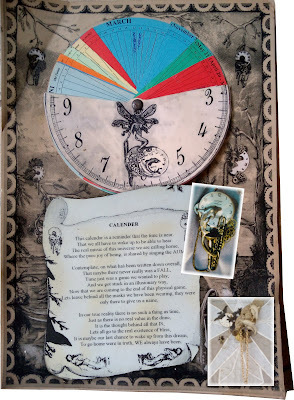 It is possible through the internet to find some ingenuity to create your own Steampunk theme. Many craftspeople on Etsy, specialize in making dresses, suits and accessories for your entire wedding. Even the most amazing props can be created during these parties. 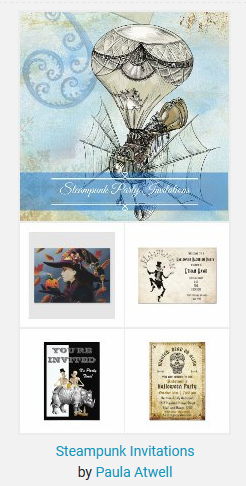 Pinterest is a great way to explore what others have created for the steampunk wedding. 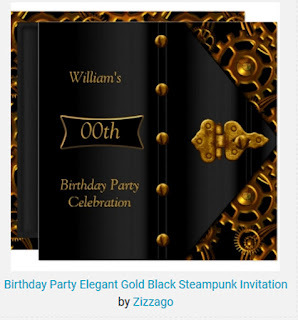 This Elegant Gold Black Steampunk Invitation birthday party card by Zizzago can easily be personalized and made into a steampunk party invitation. 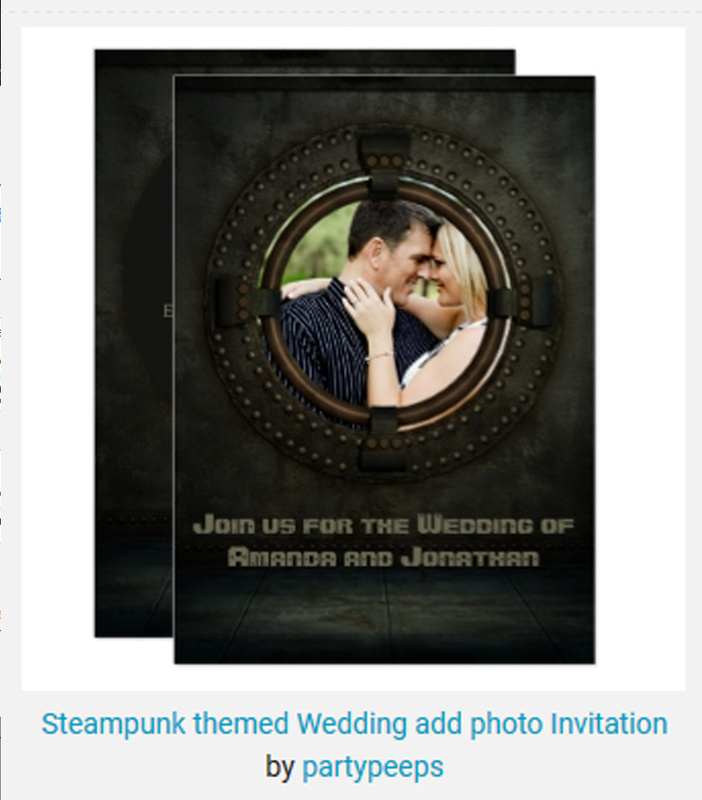 The three party invitations above could be a great help to include your family and friends into the Steampunk fashion mood. 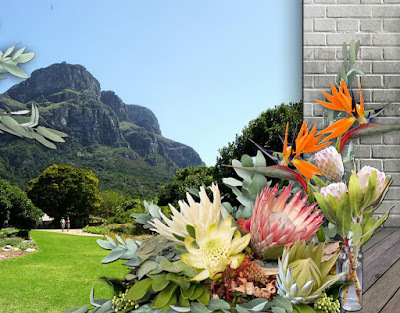 Those events could even be a workshop party activity where some props for the wedding can be created in a team spirit. The Colors of a Steampunk Wedding. It's advisable to mention what color dress the bride is going to were, so the wedding guests will choose something that does not clash with the wedding photos. A very suitable option is burgundy, dark brown or even black. 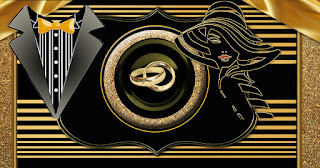 Black should not be a color to be afraid of because you can always add some gold or metallic elements that will make the whole event looking amazing. What also works is aubergine, black and teal. The bridal gown should obviously be with steampunk inspiration. The groom is also going to be dressed in a steampunk inspiration. Choosing the steampunk theme for a wedding is rather daring in itself, so choosing an outfit don't hesitate to wear almost crazy things! The wedding rings are a symbol of love that can also remind you of your common steampunk love for life. There are many options out there. Table Decorations ideas . These ideas are endless. Why not have a look at my Pinterest board on steampunk weddings. To have an at-home wedding, consider the space. The great thing about getting married in your own home is the flexibility you have to get things ready in advance. Depending on the size of your home, the number on your guest list will be important. Who is organizing the ceremony setup and decor? Factors like who is doing the catering? Who is organizing the music? Can the wedding ceremony be held in the garden, or inside the house? If you plan to have your wedding indoors it might be advisable to engage in a cleaning crew to help prep the family home for a weekend of guests and events. A spotless home where some private items are removed will also guarantee that any clutter doesn’t come across in your photos. Keep in mind the importance of a dance floor when allocating space in your home, or for your reception. For couples who want to stay away from rentals, mixing chairs and other furnishings that were found within your home can add whimsy and charm to your design scheme and decor. Let's say that your wedding invitations have been sent. From the table layout of your reception to the rehearsal dinner (cards) - the menu, each event is an opportunity to reflect the familiarity of your residential venue choice. Are you asking for financial contributions? Have you thought about what kind of input you want them to have? Are there traditions you want to include? Along with a spotless house creating a festive atmosphere through lighting and decoration, using lamps instead of overhead lights and hanging a ton of white lanterns from our ceilings. Wildflowers in pretty vintage vases around the house. TIP: Getting your decorations up and ready the weekend before your wedding to avoid stress. 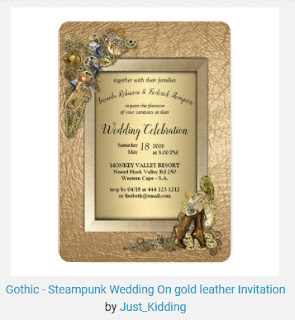 Having written this steampunk article, if I would do my own wedding in the sixties all over again, I would probably go for this wedding theme. 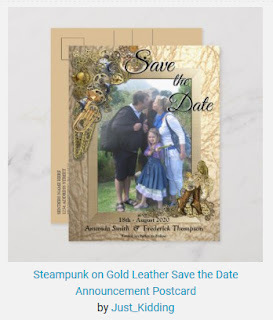 I hope that my article will inspire the soon to be Mr and Mrs.
Below are some more links from Zazzle designers on the amazing steampunk theme for any event. Thank you Simon for all your many tips through Facebook messenger. 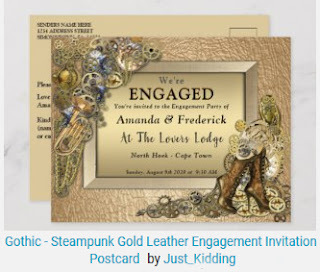 I like to end this block post with your wonderful Steampunk wedding invitation. 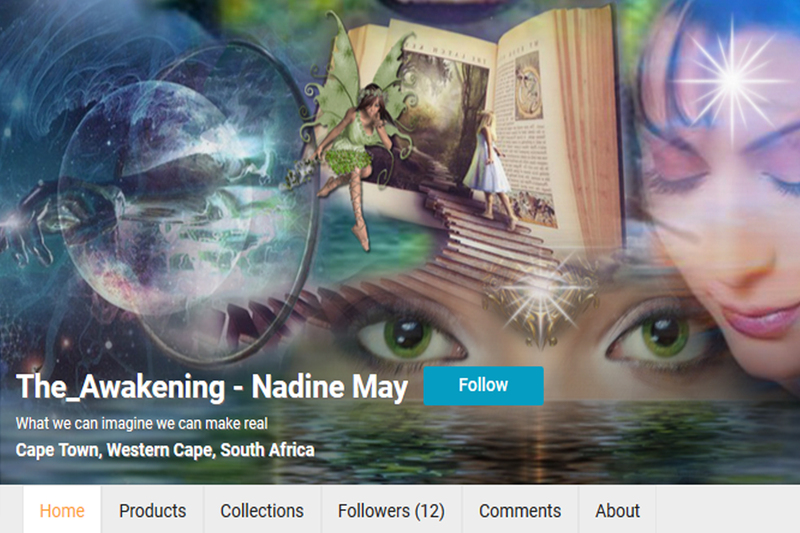 I am Nadine May a novelist but think in pictures. 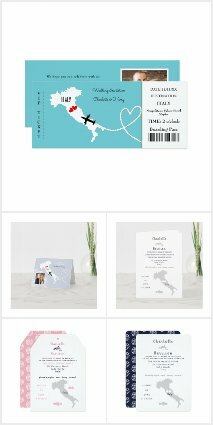 I Love the innovative design, graphics, art & crafts opportunities, especially creating personalized invitation cards for events like weddings at Zazzle. I am a self-taught graphic designer and for the last 18 years specializing in book covers for Kima Global Publishers. 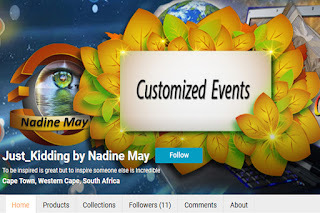 Four years ago I discovered Zazzle and have been actively publishing my graphic art on many products. 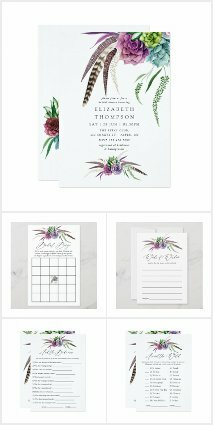 I have three stores at Zazzle where I design for. My 'Just kidding ' store name was a clothing label I owned during the early nineties. 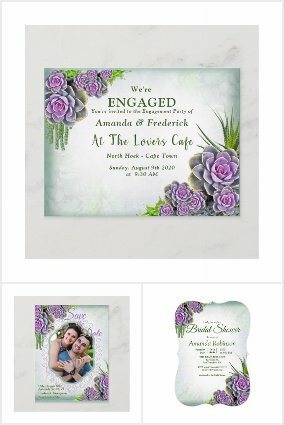 This store is all about my past and present artworks that I have started to redesign for the personalized stationery at Zazzle. 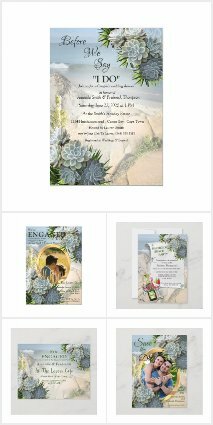 The themes for my wedding stationery show a great variety, from Succulents, Flowers, Steampunk, African Safari topics & modern graphic styles. My 'Awakening' store was created in order to share images I designed for the articles on the topic of transformation, including the color-in projects that all belong to the science behind the Language of Light and many more posts on alternative topics that can be read from my blog: The End of Times. I will soon begin designing wedding-stationary with this topic in mind. 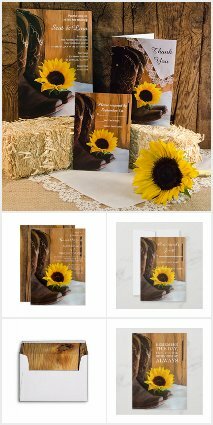 My Kima Global Gift store includes the graphics work from my book design covers that I formatted for the Zazzle templates. Being the art director of Kima Global Publishers I am always looking for creative ways to explore print-on-demand. I'm not all that active here.